Hello, everyone! I know that the holidays can be a hectic time for most crafty people, with making gifts and finishing up orders, but I hope you’re all ready now to take on the new year. 2016 was a pretty great year for my blog and business, but I am determined to make 2017 even better! I’ve set a couple of goals relating to my knitting and crochet (and this blog in general), and today, I wanted to share them with you. 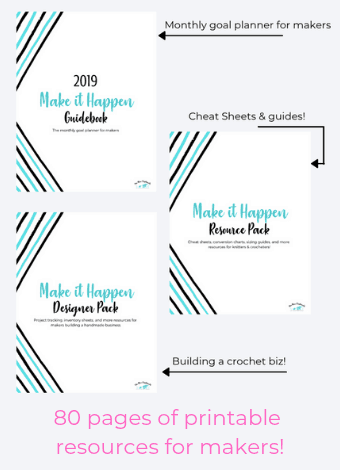 Maybe you’ll get some ideas for your own knitting and crochet goals or maybe you’d just like a look at what’s coming to The Blue Elephants in 2017. Either way, here are my 2017 resolutions! 1. Create more and don’t worry about what to do with it afterwards. One of the things that I had a hard time with in 2016 was not creating things or working on patterns just because I didn’t know what to do with it afterwards. A lot of the patterns that I do have up right now are from when someone placed an order with me or when I was gifting things or making them for myself. In general, I stayed away from making items (even ones I LOVED) simply because it seemed like a waste if I didn’t have something to do with it afterwards. This year, I’m going to go ahead and knit/crochet those things. If I find a purpose for them later, great! If not, I’ll still be able to share those patterns and designs with you guys, and I think that would be awesome. 2. Add at least one new pattern to the shop every month. Last month, I finally opened up a shop where you can buy some of my patterns. I took my forever to figure out the best way to do it and decide whether or not I wanted to sell finished items, but it’s up! It only has two items right now, but I am definitely going to be adding a bunch more. I have so many ideas and I’m really excited about this. Rather than just adding a new pattern just randomly, I want to publish at least one new pattern, every single month. I’ll add more if I can, but at least one is my goal. 3. Learn and teach a few new techniques. I’ve seen so many techniques pop up and become popular over the last year, but I never actually tried any of them. I don’t really know why. Either I was working on something else or I put it off and forgot about it, but I want that to change. If I see a new technique I like, I want to try it out as soon as possible, and teach you guys once I get the hang of it. I’ve got a few book with different techniques and they’ve been awesome for ideas! Some of the ones I want to learn include C2C blankets and Tunisian crochet! The first crochet hook I ever bought was actually a Tunisian crochet hook, but I didn’t realize it at the time and just never used it. 4. Write another ebook with a collection of patterns. Two of my most popular posts have been the free Beginner’s Guide to Crochet Ebook and the Top 10 Flower Patterns post. This tells me so much about what I should be posting and what you guys actually want to see. So, sometime in 2017, I want to create another ebook full of patterns. I haven’t decided what type of patterns yet, so if you have suggestions, leave them in the comments! 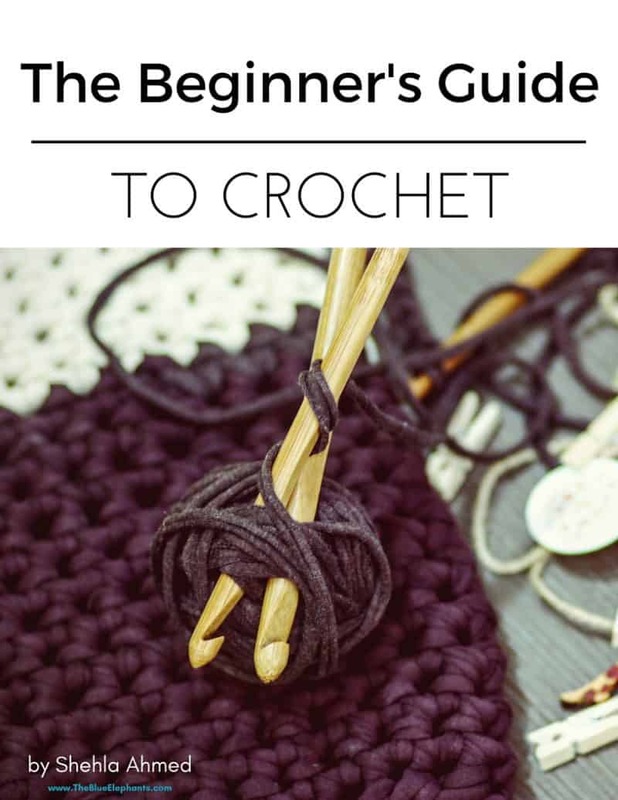 But I absolutely want to make this ebook for people who already have some of the basics of crochet down, so it would be a step up from The Beginner’s Guide. 5. Make the stuff that I’ve pinned! Everyone on Pinterest has this problem of pinning everything and never trying it out, but I think I’m normally quite good about it. 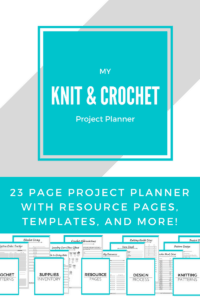 I do try most of the recipes I pin, but I don’t try the knitting and crochet patterns. To some degree, this goes back to goal #1 and not knowing what to do with it afterwards, but it’s also because I feel like I should be making my own patterns. Since I started blogging about my knitting and crochet, I’ve felt weird about using other people’s patterns. I always feel obligated to figure it out myself, and when the result isn’t the same, I get discouraged. So, I’m going to be making more of an effort to use those patterns I find on Pinterest. 6. Grow this community to over 5,000 subscribers! This is one you guys can help out with. Right now, there are about 1800 people who have opted to be part of this community, and get the newsletters and freebies. That seriously boggles my mind. This time last year, I had less than 200 and I had set a goal to reach 500 people. Well, we totally crushed that goal! Thank you! This year, I would love to see The Blue Elephants family grow even bigger and more engaged. So, if you haven’t subscribed already, just fill out the box at the bottom of this post! And tell your friends <3 lol. 7. Stop second-guessing myself and do what I think is right. Finally, this last goal is about my knitting, crochet, blog, and my life in general. I’m always second-guessing myself and changing my mind about things that I should leave alone. For example, I’ll pick colors I adore for a blanket and show them to someone else. If they don’t love them as much as I do, I will switch them out and wonder whether anything I chose was “right”. And I hate doing that. This year, I’ll be trying to trust that my ideas and decisions are going to work out. And if they don’t, I’ll try again. These are the knitting and crochet goals that I’m setting for myself. Although they may not be glamorous, they’re all things I want to work on over the year. They’re also realistic enough that I think I can accomplish each one. [clickandtweet handle=”@shehlagrr” hashtag=”” related=”” layout=”card” position=””]What goals are you setting for yourself this year? Name 1 thing you would like to accomplish in 2017. [/clickandtweet] It can be a crafty goal, a life goal, or just something you’ve been wanting to do and haven’t yet. I’ll see you guys on Friday with a new pattern!